William (Bill) E. Hahn received his B.A. Degree from Marietta College, Marietta, Ohio in Economics and Political Science in 1968. He received his J.D. Degree from the University of Florida College of Law, in 1972. At the University of Florida, he was a member of the Editorial Board of the Law Review and a Galley Chief. He had published "Speedy Trial in Florida; Has the Defendants Shield Become a Sword?" in the University of Florida Law Review Volume XXIV. He is a member of the Florida Bar, the Florida Justice Association, and the American Justice Association. Since 1987, he has been a Florida Bar Board Certified Civil Trial Lawyer. Since 1998, he has been listed in Best Lawyers in America; Florida’s Super Lawyers; and in Florida’s Leading Attorneys in the categories of Personal Injury Law and Medical Malpractice. Best Lawyers, the oldest peer reviewed publication in the legal profession, named Mr. Hahn the "Tampa Bay Best Lawyers Personal Injury Litigator of the Year for 2009", the first time such an award has been given and "2010 Tampa Medical Malpractice Lawyer of the Year ". He has served, by appointment of the Florida Supreme Court, on its Civil Jury Instruction Committee from 1994 to 2000, and was a member of the Judicial Nominating Committee of the 13th Judicial Circuit from 2001 to 2004. He has been the President of the Florida Chapters of the American Board of Trial Advocates (ABOTA), has served as President of the Hillsborough County Chapter, and now serves on the National Board of ABOTA. 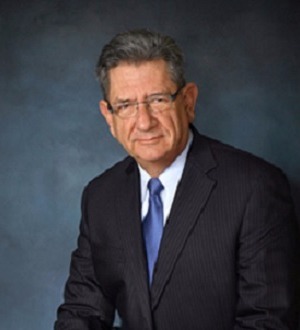 He has been a member of the Executive Committee of the Trial Lawyers Section of the Florida Bar since 2002. Mr. Hahn has an the highest rating possible, of "AV" by Martindale Hubbell. He lectures frequently for state and local Bar Associations, and has been the lecturer for the "Trial Practice" portion of the Florida Bar Board Certification Review Course since 1998. He has participated in "Masters in Trial" programs sponsored by the ABOTA throughout the Florida, and is an instructor at the annual Florida Bar "Advanced Trial Advocacy Program" sponsored by the Florida Bar. He is the author of the chapter on the "Trial of a Medical Malpractice Case" in the Florida Medical Malpractice Handbook, published by the Florida Bar. Since his admission to the Bar, his practice has involved civil jury trials, first in the defense of complex civil litigation and now, the representation of injured persons in professional malpractice and personal injury litigation.